The Rohrbaugh R9 is a popular choice for a concealed carry pistol. 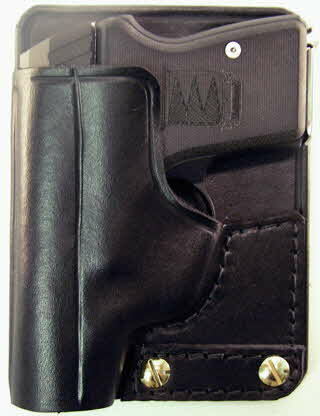 Light-weight and a thin profile make it a top choice for rear or front pocket carry. 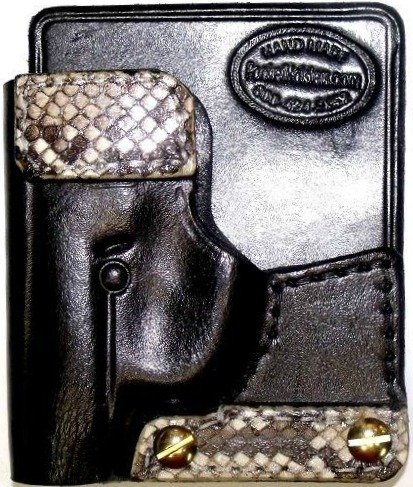 Now you can have one of our Pocket Holsters with genuine Python skin appointments to the thumb push-off area and to the inside of the anti-print panel hinge. This option is available for an additional $20 and must be special ordered.